I NEED TO...reduce the costs of my software and hardware. 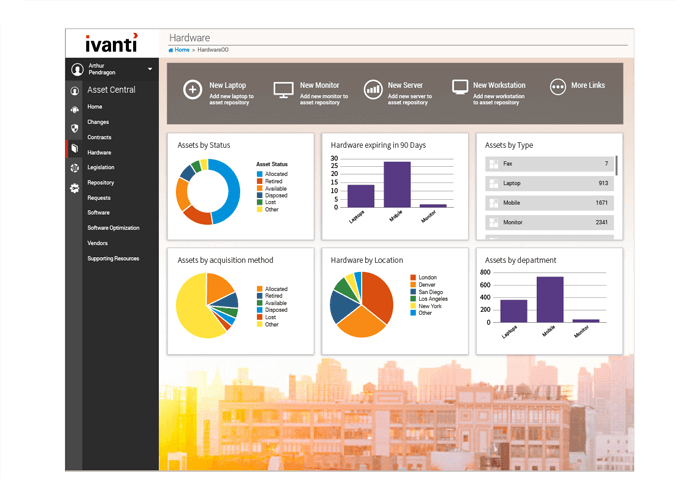 Ivanti will tell you what assets you have and if you're spending too much. Do you know what a software audit will cost you? We crunched the numbers. We're ITAM champions. See why we stand out from the rest. Are you paying 25% too much for your software? At the end of the day, your executives don't really care about how you track and maintain IT assets. They want to know how much money they're spending on them, what it's costing to manage and maintain, and ultimately, what kind of ROI they are receiving. On that note, wouldn't you like to reduce IT costs by 25-50% and increase your ROI? Find out how we're helping customers make that a reality while delivering superior IT solutions to their users. From your hardware assets to the software running on all your devices, our products and services were designed to help users do their job and be profitable little cogs in the money-making machine that is your organization. Truly knowing the needs of your organization and having an accurate picture of your IT assets gives you an edge when it comes to negotiating with vendors. Avoid high personal property tax costs on unused assets. Save or even make money by seeing what assets you can sell or recycle. Track asset lifecycles to reduce downtime from proper maintenance and increase productivity by having standard processes in place. Avoid the financial risk that comes with non-compliance, including fees, true-up costs, and fines. Reclaiming unused software licenses can save you money and help your organization utilize the assets it has more effectively. Gain insight into your assets, where they are, and how they're performing to see where you are financially vulnerable. Right now, you don't know what you don't know. What if there was an easy way to discover, track, and maintain your IT assets? Even better, what if there was a solution that could pinpoint your spend and forecast your savings? HINT: There is, and we created it. That noise you're hearing is the sound of your mind being blown. These products give you an in-depth look at the cost and effectiveness of all your IT assets and help you manage them successfully. Get the most from your IT investments. Managing your assets will undoubtedly reduce costs. Why not use our solutions to reduce the financial risk that comes with non-compliance, lost productivity, and over-purchasing of software? Asset Manager delivers out-of-the-box processes that walk you through difficult scenarios that would otherwise take valuable time and resources away from your employees. These include onboarding and offboarding, software audit, disposal processes, and more. Asset Manager provides insight into hardware due for a refresh. This helps you schedule and budget accordingly. 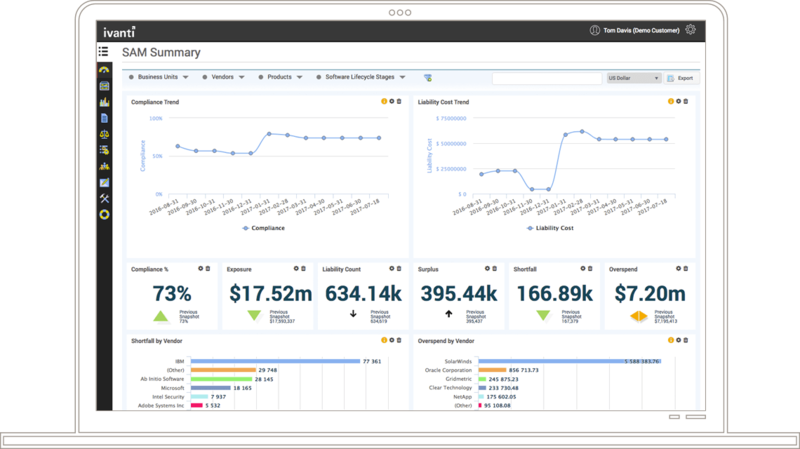 Business value dashboard helps you visualize ROI, identify savings opportunities at a glance, and take action to reduce the financial and security risk your IT assets pose. The IT Asset Management Suite automates the discovery of your assets and tracks them through their lifecycle so you have more usable data on demand. These tasks include automated processes that would take months to gather otherwise. Asset Intelligence delivers the means for you to set customizable software reclamation policies. You're also able to target specific users or user groups to avoid disrupting workflows. Asset Intelligence allows you to automatically locate and inventory managed or unmanaged IP-enabled devices on your corporate network for a more detailed financial cross-section of your assets.